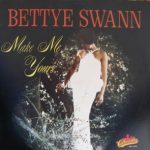 Bettye Swann ‎- 1969 – The Soul View Now! Where to begin when speaking of Bettye Swann… The Louisiana-born soul chanteuse is one of my all time top 5 female vocalists (she’s in the company of Aretha Franklin, Betty Wright, Candi Staton and Mavis Staples), and it’s a shame she never made it big time. In fact, it appears she has left the world of music as far back as the mid ’70s. Swann’s first album for Capitol records, released in 1969, is one of those precious gems you really don’t wanna tell anybody about: you want to keep it your little secret. The music is, indeed, THAT good. The LP opens strong with Bettye Swann’s self-written “I’m Lonely for You“, a delicious mid-tempo tune carried by velvet orchestration that is never intrusive. Her singing is sheer magic; while angelic sounding backing vocals further embellish this piece of art, it’s Swann’s optimistic, tender voice that immediately grabs your attention. A brilliant, horn-heavy beater with a hint of xylophone on just the right notes and great piano fills. It soon becomes apparent that Bettye is most at ease when lounging in a country-soul groove; “No Faith No Love“, another stellar original, has the bounce of country and the brassy goodness of soul. The bridge parts are especially tantalizing. She’s even able to turn the Bee Gees’ “Words” – a ballad that despite its catchiness has never appealed to me – into a pensive country-soul vehicle. The understated horns and shimmering strings are a bonus, for, really, I have never heard a voice sweeter than Bettye Swann’s. Up next is another one of the many highlights on this disc: a heartbreaking, incredibly touching reading of Percy Sledge’s “Cover Me“; beautiful, subdued orchestration and yet there’s still that thick drum sound, while Bettye churns out another delicate, lovely vocal. Once more, the female singers backing her up truly are an asset. She’s just as much at ease with the classic country song “Don’t Touch Me“, the Hank Cochran hit. Wonderful guitars and more stately horns. What follows is in my opinion one of the most sweet, tenderly executed pieces of soul music ever waxed: a powerful, simply gorgeous cover of John Loudermilk’s “Then You Can Tell Me Goodbye“. This is the song you want to keep for yourself from here to eternity… but that would be a crime. Soulful musical perfection such as this needs to be heard by all. Incredible… Just amazing. Rest assured that you’ll remain in the same mood of total bliss when “Goodbye” is over: a great take on P.P. Arnold’s “Angel of the Morning” is quintessential Bettye – soft, sweet and gentle, and hard socking on the chorus. She slips in a delicious, jazzy rendition of Aaron Neville’s “Tell It Like It Is“, only to shift into high-powered Southern Soul gear – the lush Bettye Swann-style – with a warm, respectful version of Otis Redding’s “These Arms of Mine“. Ending this perfect soul album is a soul-i-dified cover of country legend Don Gibson’s “Sweet Dreams“. After having experienced this album, that’s all I can think of, Miss Swann. Absolutely crucial, and currently available on Bettye Swann, which also contains her complete second album for Capitol. Buy the AlbumBettye Swann ‎- 1969 – The Soul View Now! Free Download AlbumBettye Swann ‎- 1969 – The Soul View Now! 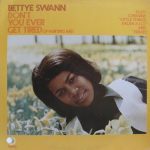 Conversation for album: Bettye Swann ‎- 1969 – The Soul View Now! Marvelous﻿. “Then You Can Tell Me Goodbye“ is amazing. Yet again you provide us with a real knockout. Thank you so much guys! Omg, was a little girl when I first heard her songs.